Few flowers can rival the delicate beauty of a cluster of hydrangea blossoms. Unfortunately, the reason why you see many more potted hydrangeas than cut arrangements is that hydrangeas make famously poor cut flowers if not handled correctly. Often, a few hours after they have been cut and put in water, they turn into a wilted mushy mess. To prevent this sad state of affairs, you must vigilantly care for and monitor your hydrangeas immediately after you cut them. Set a pot of water on the stove to boil before you head outside to cut your hydrangeas. Clean a vase thoroughly with a solution of soap and water and a teaspoon of bleach. Rinse it thoroughly then fill it with room temperature water. Add a packet of flower preservative to the water in the vase. Take a container of room temperature water out to the garden with you and place the hydrangeas in water immediately after you cut them. Early morning, when the hydrangea stem is full of stored food, is the best time to cut. Pour the boiling water into another container. Cut the hydrangea's stem to the desired length, then immediately dip it into the cup of formerly boiling water and leave it there for 30 seconds. Place the hydrangea immediately into the vase. 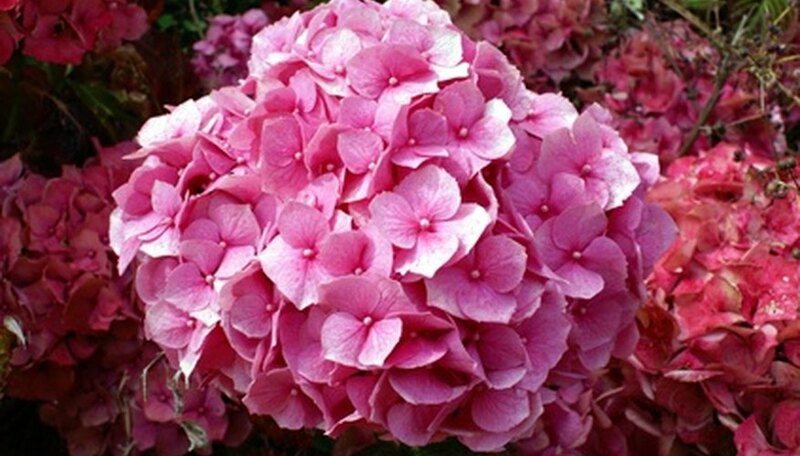 Change the cut hydrangea's water, re-cut the stems and add another packet of flower preservative once every 3 to 5 days. Store the hydrangeas in the refrigerator at night when there is no one enjoying them. As an alternative to the boiling water in Step 6, you can coat the bottom 1/2 inch of the cut hydrangea's stem in powdered alum (in the spice section of your grocery store), which will provide the same preservative effect. Keep the cut hydrangeas out of direct sunlight. Hydrangeas Hydrangeas: How Can I Keep Hydrangeas from Wilting after They are Cut?